If you're prepared to roar, 91 horsepower and a reengineered arched A-Arm suspension is where it's at—making the new Renegade X mr 1000R the most powerful mud-ready ATV, period. Play where others don't dare tread. SNORKELED ROTAX V-TWIN ENGINE WITH RELOCATED CVT INTAKE AND OUTLET: 91 horsepower makes this the most powerful mudding ATV, period. 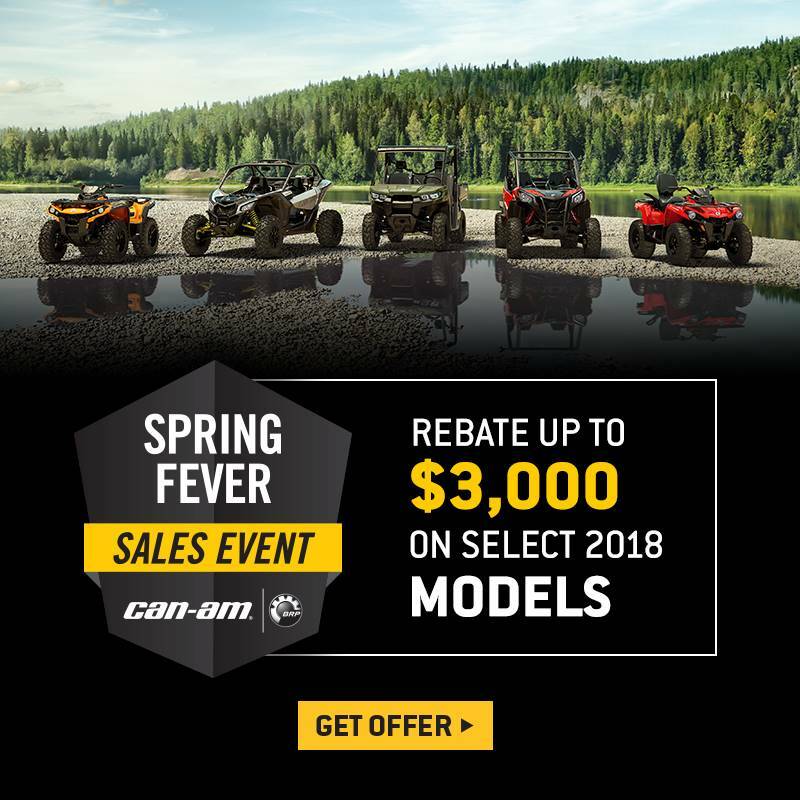 Renegade X mr 1000R is fed by a 54 mm throttle body and twin Siemens VDO fuel injectors for the power to attack and survive the toughest mud holes. 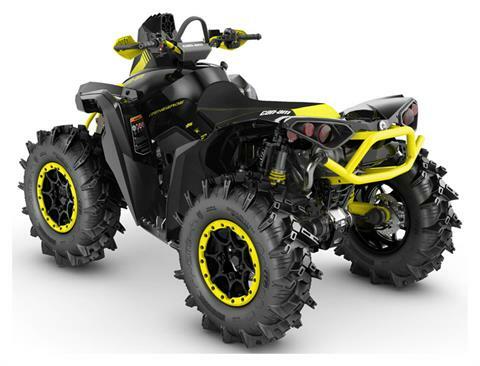 Critical components like the CVT intake and outlet, and as well as engine intake have been relocated as high as possible on the ATV, far from the muddy and wet conditions below. ADJUSTABLE FOX PODIUM 1.5 QS3 SHOCKS: High-performance front and rear FOX PODIUM 1.5 QS3 shocks let you easily dial in your suspension setup tool-free to suit the conditions. Through a 3-position knob, suspension can be adjusted to give a smooth and comfortable ride—or sporty one—or a firmer shock in position 3 for a high-performance, race-ready suspension. 30 IN. ITP CRYPTID TIRES ON 14 IN. CAST ALUMINUM BEACLOCK WHEELS: For unparalleled forward traction in the most challenging conditions, pros and enthusiasts alike are driven by a proven chevron tread pattern with grooved center lugs and an extremely durable rubber compound. Beyond its forward grip, the experts at ITP crafted CRYPTID with balance of side bite for climbing out of mud and comfort for more casual riding. Installed on large 14-in. 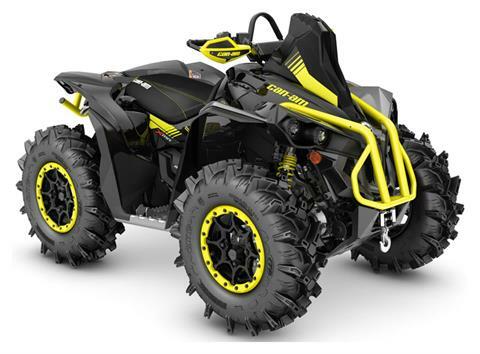 (35.6 cm) cast-aluminum beadlock wheels, featuring a mechanical fastening system that makes it nearly impossible for the tire bead to break loose from the wheel during mud riding, heavy acceleration or cornering. 3,000 LB. WARN WINCH WITH ROLLER FAIRLEAD: This powerful winch with a 3,000 lb. (1,361 kg) capacity is factory installed and can handle the toughest situations, an indespensible tool when tackling conditions that include deep mud—and helping your friends keep up. FULLY REVISED FRONT AND REAR SUSPENSION: It's all about balance. Starting with front arched A-arms, sway bar, and revised wheels for a wider stance for the most significant Renegade upgrade yet. The independent rear suspension eliminates scrub and camber changes for unparalleled vertical wheel control—rather than in a flexive butterfly motion. Renegade was made to go where you point it—with leading traction and power transfer. CVT TRANSMISSION: Continuously Variable Transmission means the drive shaft is always in the right gear. For ease of use, you can count on the engine braking feature to help slow you down when going downhill. The CVT of the Renegade X mr 1000R also features an improved L-gear with more torque to the wheels and a softer engagement to avoid getting stuck in mud.